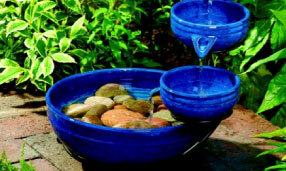 We offer a variety of garden accents which bring additional color and character to your property. Give your garden a personal touch with a wind chime, seasonal flag, or gazing globe. Pottery and statuary serve as complimentary pieces to your garden, while a trellis, arbor, or garden bench offers a distinct focal point. 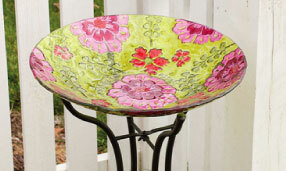 We carry novelty items from Evergreen Enterprises, Magnet Works, Patapsco Pottery, and Woodstock Chimes. Of course, one of the best ways to improve the aesthetics of an existing garden is to add mulch or stone. We offer mulch and stone in 2 cubic foot or 3 cubic foot bags. Below you will find a list of our products, as well as their corresponding size. As with all of our products, our helpful staff will assist you in handling mulch and stone purchases. Keep in mind, we deliver!